On a visit to Auckland activities around city highlights take an important role to get to know the visited place. 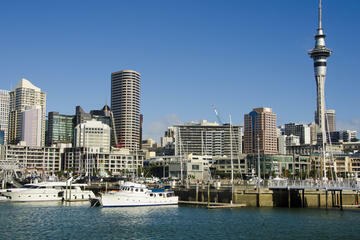 Visiting Auckland Highlights can restrict itself to the sights or take the beautiful scenery into account. Visiting only the main attractions or a combine the city with a wilderness experience. The independent traveller most likely choose the hop-on and hop-off bus to spend as little or as much time at the places as they want to. While the more adventurous tourists are not satisfied with just looking and prefer to climb the Harbour Bridge. Despite a lot of architectural competition the ferry building, built in 1912 forms still a centerpiece to the harbour. Ferry services to Devenport and Hauruki Gulf islands such as Rangitoto Island are operated from here. Most picturesque during the blooming season between October and April. Historic New Zealand encompassing Maori people, early settlers, native animal life, and the ANZAC's find exhibits on three expansive levels. The Sky Tower ranges under the 15 highest architectural structures in the world. Enjoy panoramic city views from 192m above street level. For adventurous ones a sky walk around the tower or sky jump is possible. Described and New Zealand's best kept secret. It shows off a delightful mix of art and craft gardening. The Harbour Bridge is one construction that stands out dominating the Waitemata Harbour. 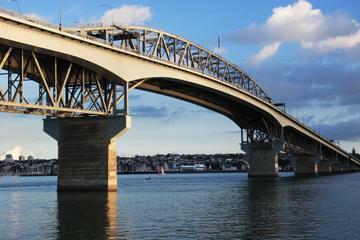 It is the longest road bridge on the North Island with a total length of 1,020 metres. Explore Auckland independent yet convenient on bus with commentary, where you can hop on or off at any time. 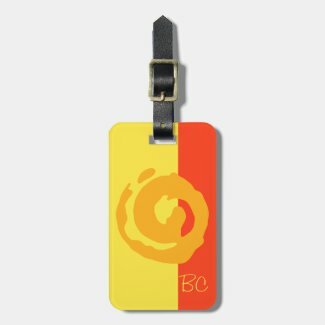 The bus intervals are 30 minutes during the summer time and one hour during winter. All major sights have a bus stop. Two bus circles red and blue encourage to split the tour into a two day venture and spend some time to visit the Auckland Museum, Auckland Zoo or MOTAT or just strolling through Parnell Village, the oldest suburb of New Zealand. In a 3 hour tour Auckland's top sights will be visited. 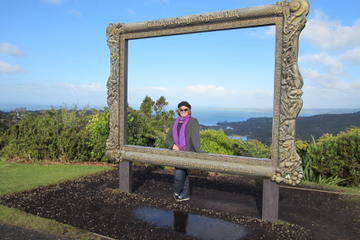 It includes a panoramic view from North Shore that encourages to take photos from Auckland's skyline. A stop with a stroll through historic Parnell Village. The tour goes on to the city's oldest park the Auckland Domain and follows then the famed Queen Street with its heritage architecture. The tour passes all major sights in Auckland with commentary by the accompanying guide. The duration will be about 3 hours, which doubles if the tour will be combined with one of the following: a stop at Kelly Tarlton's Sea Life Encounter or a visit by ferry to historic Devonport. Other options are a Harbour Cruise by Fuller's, a cultural performance in the Auckland Museum, a Sky Tower visit with 360 degree views, a sailing cruise with lunch or a stopover on Waiheke Island with wine tasting in three premier wineries. The city tour is led by local and experienced Harley Davidson rider guides. Cruising across the Harbour Bridge for the full extent of views across the Waitemata Harbour along roads that are well suited to motorcycle touring. There will be plenty of scenic photo opportunities along the way from Harbour Bridge to Mt. Eden and Parnell Village. 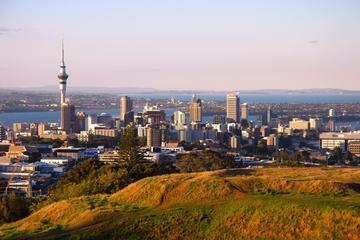 Get the best of both worlds all Auckland City highlights in the morning and in the afternoon escape into the rainforest of the Waitakere Ranges. Scenic views of the Pacific Ocean in the east and the wild and rugged coast along the Tasman Sea in the west. Stop by at the Arataki Centre the gateway to the Waitakeres for views and more. 30 life exhibits and more that 80 species await visitors to Kelly Tarton's underwater world. Amongst them are the Gentoo penguins, a large jelly fish colony, the largest sting ray specie. For the brave hearted among the visitors there is the opportunity to dive into the waters for a face to face encounter with a shark. 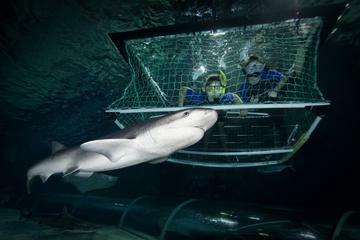 For all not as brave hearted ones observe the sharks through the glass tunnel, the brainchild of Kelly Tarlton a NZ marine archaeologist and diver. The reward of climbing up to the top of the Auckland Harbour Bridge is a 360 degree view 67 meters above the water stretching over the harbour the city skyline and island landscapes in the distance. A knowledgeable guide will share the tales of the landmark that saw Auckland grow and had to, too.